When putting in a flue isn’t feasible, a ventless fireplace can make a room warm and cozy—but these devices are controversial. Find out why! Nothing feels quite as nice as the cozy glow of a warm fire on a blustery winter’s day. While wood-burning models are the age-old standard, most of today’s new fireplaces are fueled by gas, which eliminates the messy ashes and soot leftover from wood fires. Traditional gas fireplaces, like their wood-burning cousins, require an exhaust flue (vent) to remove harmful fumes from the home. When possible, an existing chimney is used to run a new flue, but in a home without a chimney, the high cost to install venting can sideline the project permanently. There is, however, an alternative: the ventless fireplace. Ventless fireplaces are designed to burn gas more efficiently than vented versions, resulting in far fewer fumes and no flue requirement. Yet not everyone is a fan of these new-fangled fireplaces—in fact, they are banned in some states—so keep reading to understand vital information that will help you decide if a ventless fireplace is right for your home. The two types of gas fireplaces function differently. A traditional vented gas fireplace, fueled by either natural gas or propane, has two vents that run to the exterior of the house. The intake vent draws fresh air into the fireplace while the exhaust vent safely removes fumes of the combustion (burning) process. You’ll pay $3,500 to $8,000, or more depending on fireplace quality and the amount of remodeling to be done, to have a vented gas fireplace professionally installed. Keep in mind that most communities require a certified gas contractor or a licensed plumber to install and hook up gas lines, so this is by no means a DIY project. A ventless fireplace contains a regulator that produces a fine mixture of gas and air in a way that allows the gas to burn cleanly. This greatly reduces the fumes associated with traditional gas fireplaces. Federal regulations require testing of ventless fireplaces to ensure that they function as intended. Ventless fireplace burners are tested in national laboratories and must meet federal safety and health standards before they can be sold to the public. Expect to pay $1,000 to $5,000 to purchase a ventless fireplace and have it professionally installed. Many of today’s models include built-in carbon monoxide (CO) detectors and oxygen detection sensors (ODS), which are designed to monitor air quality in the room. Because a ventless fireplace does not have a fresh air intake vent, the fire burns the oxygen in the room. If the oxygen drops to an unhealthy low, the oxygen detector will shut off the fireplace automatically. Likewise, should the CO detector sense carbon monoxide, it will also shut off the fireplace automatically. Manufacturers often recommend homeowners leave a window open while operating the fireplace, but, in cold weather, that’s not always feasible. 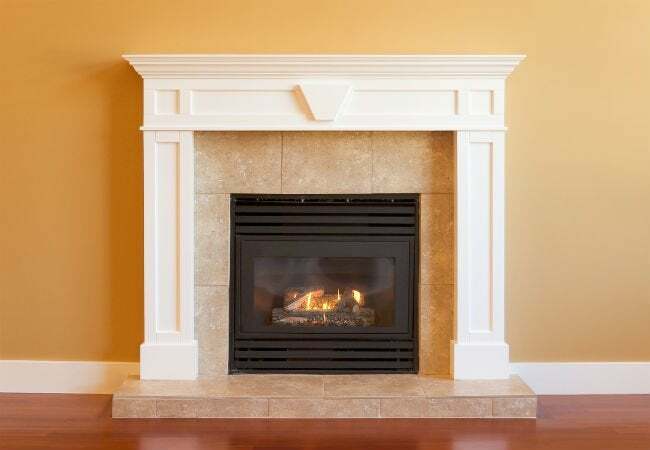 A note about fuel: Ventless fireplaces are powered by either natural gas (NG) or propane (LG), and while you can shop for models that display either the NG or LG designation, virtually any gas fireplace can be converted from one type of fuel to the other through the installation of a converter. Your plumber can convert any fireplace you choose to the type of gas you use in your home. Despite the testing and safety precautions, ventless fireplaces have a long list of detractors. States including California and Massachusetts have banned the installation of ventless fireplaces, and the devices are not permitted in HUD housing. Individual municipalities may also ban them, so check with your local building authority before you purchase a ventless fireplace. While the Centers for Disease Control (CDC) does not specifically track deaths or injuries from exposure to the carbon monoxide gas produced by ventless fireplaces, about 15,000 Americans suffer from exposure to CO annually (all means) and nearly 500 die. 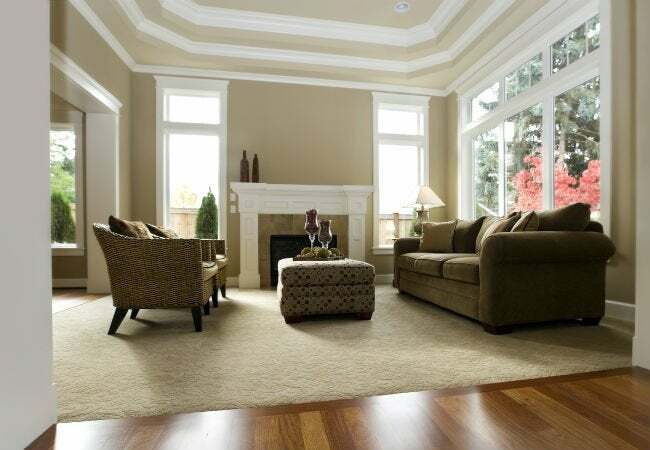 According to the National Association of Certified Home Inspectors (NACHI), even though ventless fireplaces greatly reduce toxic fumes, they will still release some small amount into the home, which increases the risk of exposure to carbon monoxide. Additionally, ventless fireplaces produce water vapor as a byproduct of the combustion process, which can lead to high levels of humidity in the home and an increased the risk of mold growth. 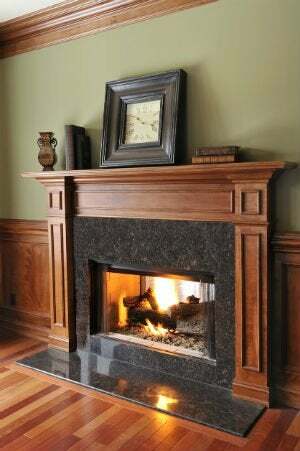 + Installing ventless fireplaces is more affordable than installing vented fireplaces because there is no need to remodel in order to run a flue. + Ventless fireplaces do not produce soot and ash as wood-burning fireplaces do. + Ventless fireplaces can be located in any room of the house, making it possible to add supplementary heat right where you want it. + The flames produced by ventless fireplaces create every bit as much ambience as those produced by vented fireplaces. + Ventless fireplaces are more energy efficient than vented fireplaces because no heat escapes up the flue, so you’ll save money on gas utility bills. A vented gas fireplace uses more gas to create the same level of warmth because some of its heat escapes through the flue. – Despite producing far fewer fumes than vented gas fireplaces, a small amount of fumes will still be emitted into your house. – Ventless fireplaces are not permitted in some areas. If you install one where it’s against local codes, you may be asked to remove it and you may be fined for non-compliance with building codes. – Gas combustion creates a small amount of water vapor, which can make your home feel humid or muggy. If ventless gas fireplaces are legal where you live and you choose to install one, reduce potential dangers by carefully reading and following the manufacturer’s directions. The following tips will also help ensure your safety. • Arrange the gas logs only as recommended by the manufacturer. Your owner’s manual will specify the correct configuration. • Once a year, inspect the condition of the logs and replace any that are cracked, and clean the logs as recommended in your manual. • Following the manufacturer’s instructions, test both the CO and the ODS detectors (if present) at least once a year to make sure they’re working. • Install additional CO detectors throughout your house. Carbon monoxide is odorless and tasteless, and if the detector on your fireplace malfunctions, the other detectors will let you know if carbon monoxide is present in your home. • Have a fireplace professional service your ventless unit annually in fall to ensure that your fireplace is in good working order before winter weather arrives. • Keep flammables, such as draperies, upholstered furniture, blankets and papers a minimum of three feet away from the fireplace and warn young children not to touch its surface, which can become very hot.